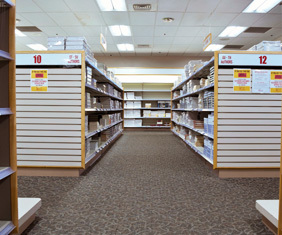 The University of New Mexico Bookstores is proud to be owned and operated by the University of New Mexico. Our primary mission is to serve the students, faculty and staff of the University, as well as, our community customers. We strive to deliver quality products and services to enhance the educational, professional and personal lives of our UNM community. 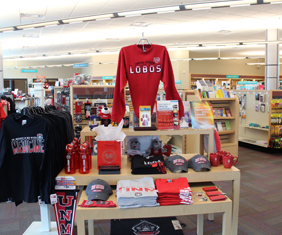 As the official course materials provider for the University of New Mexico, we work individually with each faculty member to ensure your course materials are correct and in stock while providing cost-saving options such as used books, e-book alternatives, and a 5% sales tax saving with your Lobo ID. We also partner with the UNM Bursar’s Office to offer a student charge option at a minimal fee. 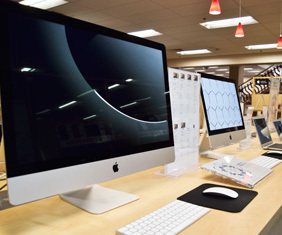 As a certified Apple, Dell and Microsoft Surface reseller, we offer our campus community excellent educational discounts on the latest computers and software, as well as offering a wide array of technology accessories. 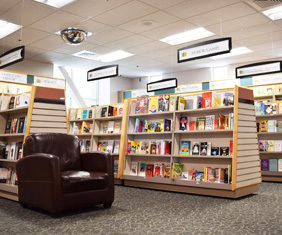 We offer a wonderful variety of general books, from bestsellers and study aids, to the regional titles that the University of New Mexico is known for. We also provide special-order services to obtain any book you might need. 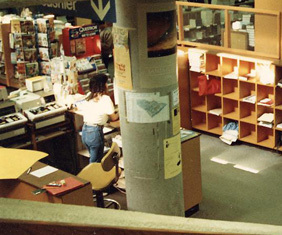 UNM Bookstores offer several book events each semester which often featuring UNM faculty or staff authors, and are open to the public. 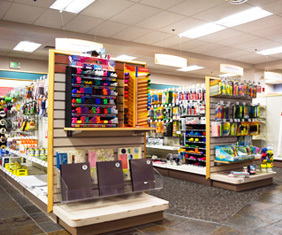 We have a large selection of everyday and specialized school and office supplies, including imprinted notebooks and binders, specialized art and architecture kits for your courses, as well as desk accessories and planners. We feature an online catalog for easy ordering and provide special order services for any of your supply needs. We also offer our campus community all-inclusive supply services including free delivery. 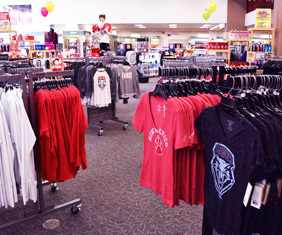 We offer an extensive selection of Lobowear and spirit items to get you into the Lobo Spirit! 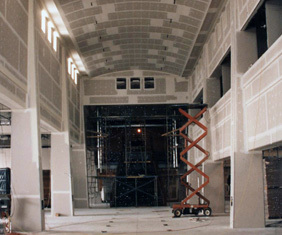 The University of New Mexico was founded in 1889 along with construction of its first building, Hodgen Hall, two years later. 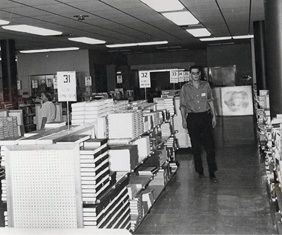 The Bookstore started with humble beginnings in an army barracks and then its location migrated from place to place around the UNM campus. 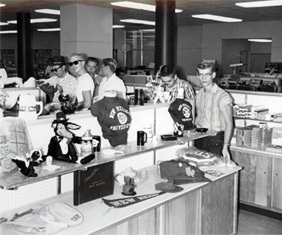 During the late 1950’s, it was known as the “Associated Student’s Bookstore,” and was located in the basement of the Student Union Building. 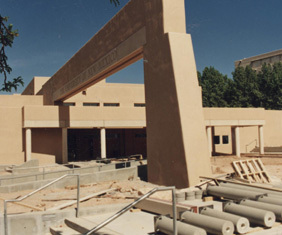 It moved again in the early 1970’s to what is now the Biology building on UNM Main Campus. 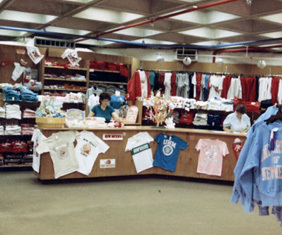 In July of 1996, the UNM Bookstore officially began operating from its current location, adjacent to the recently constructed George Pearl Hall Architecture Building. The Medical/Legal Bookstore is located on North Campus.